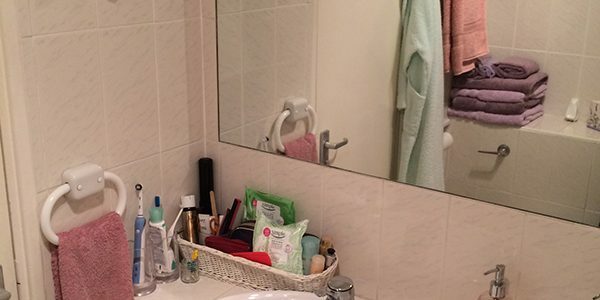 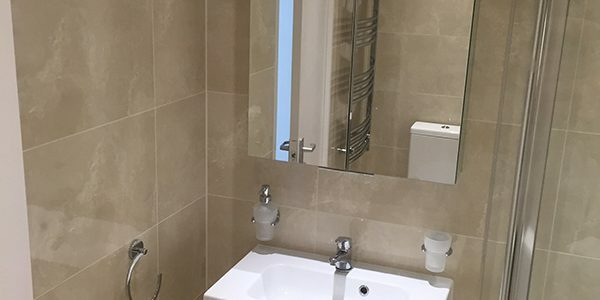 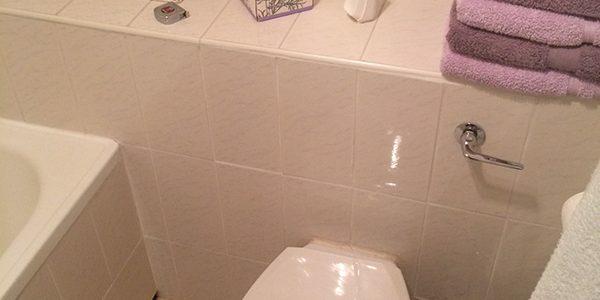 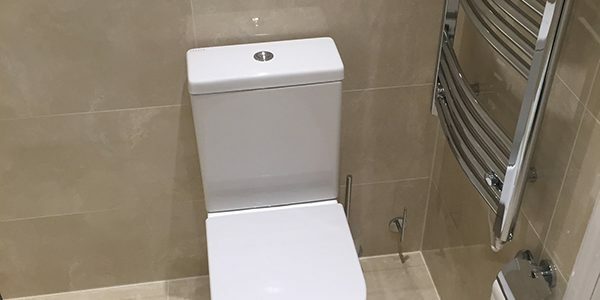 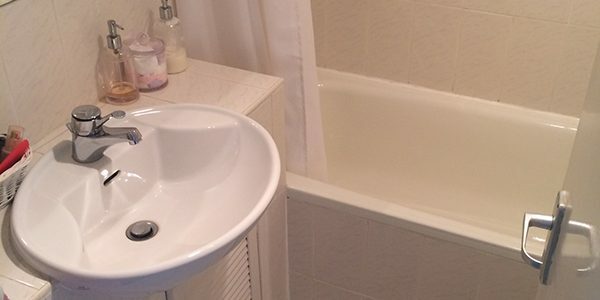 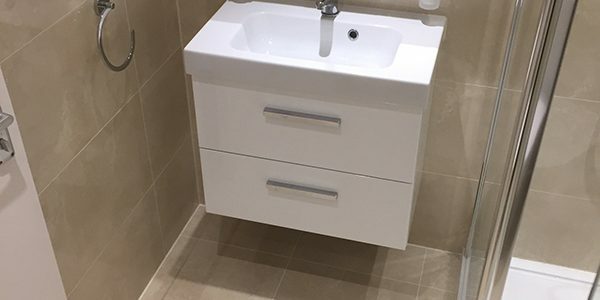 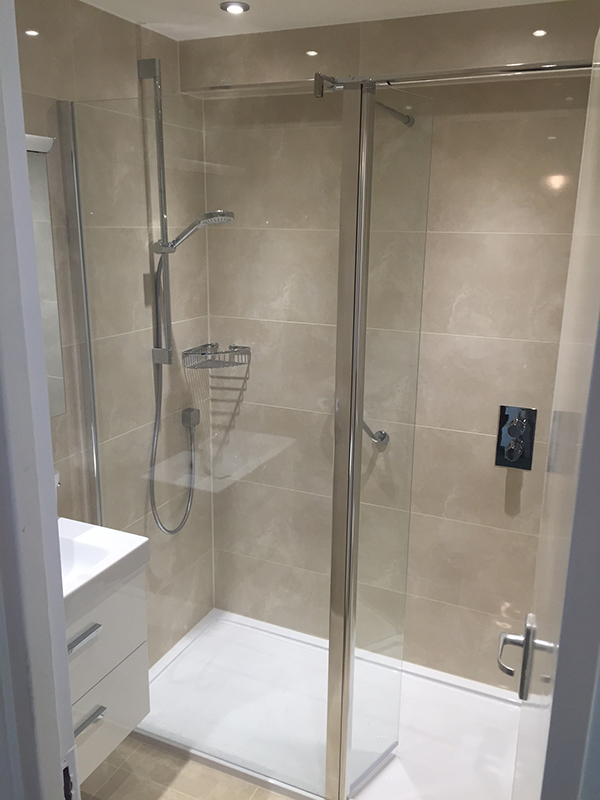 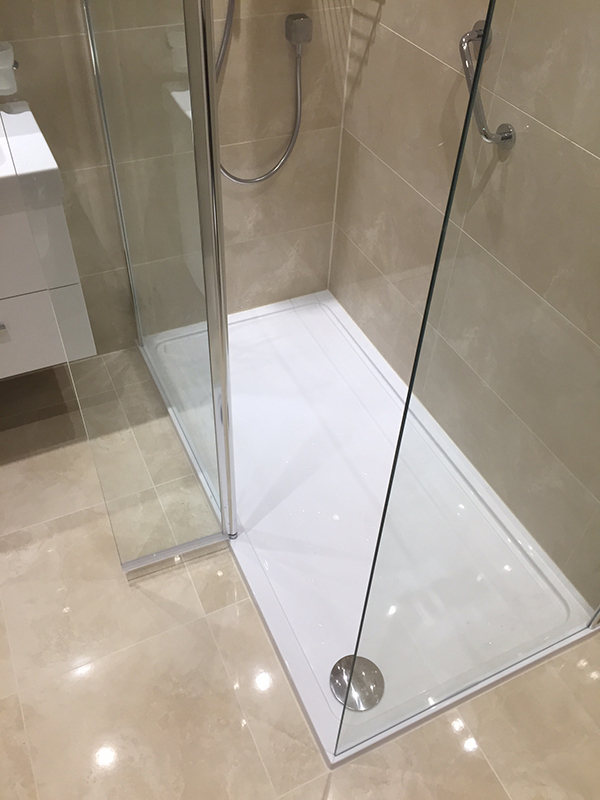 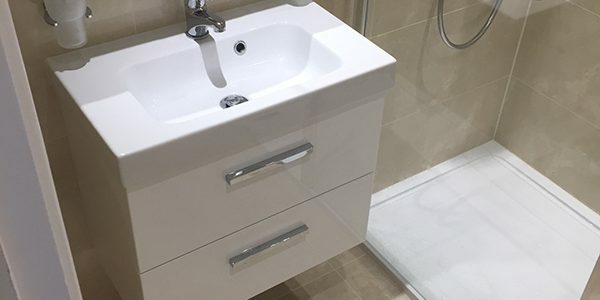 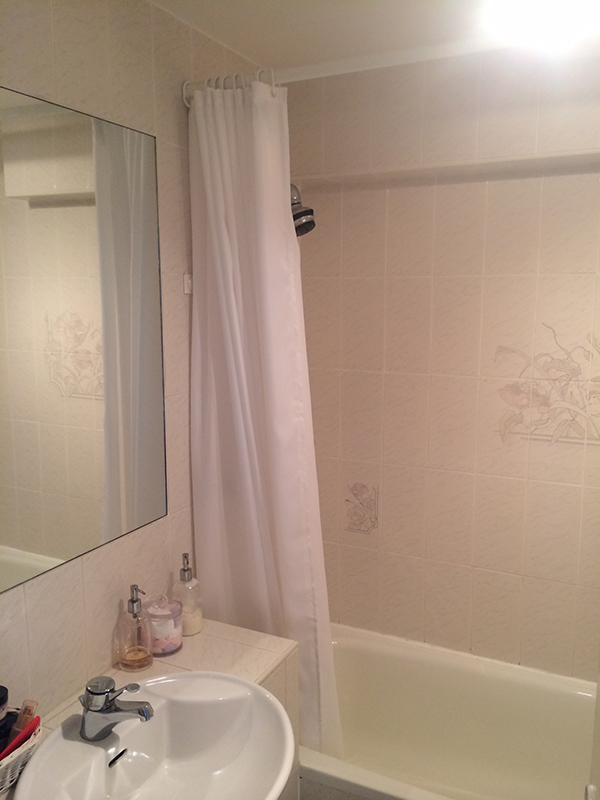 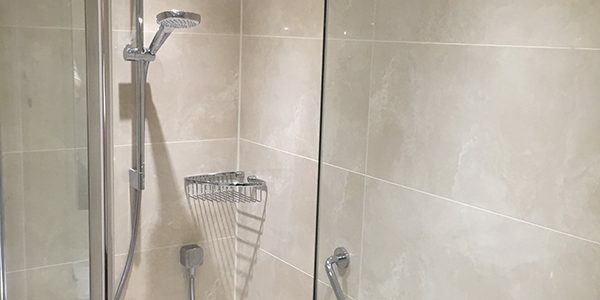 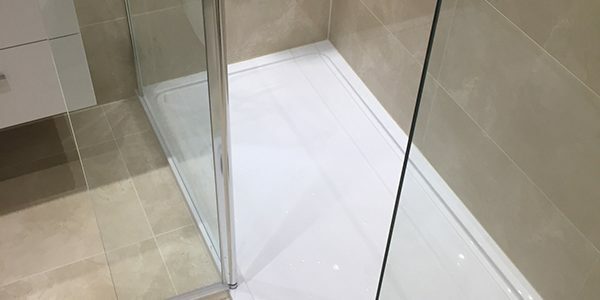 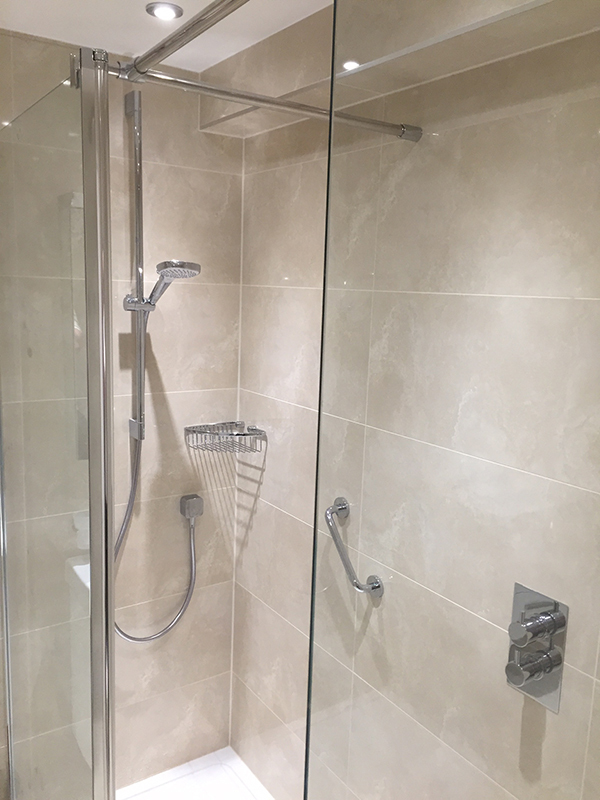 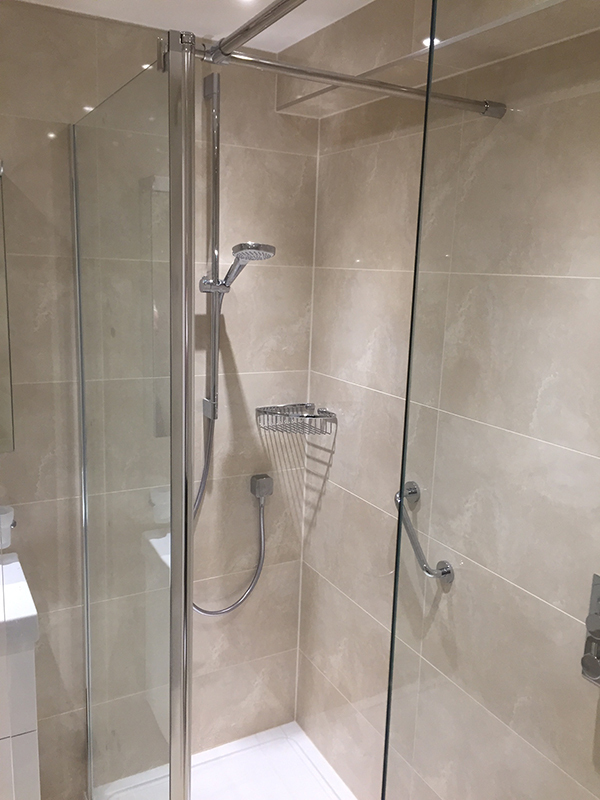 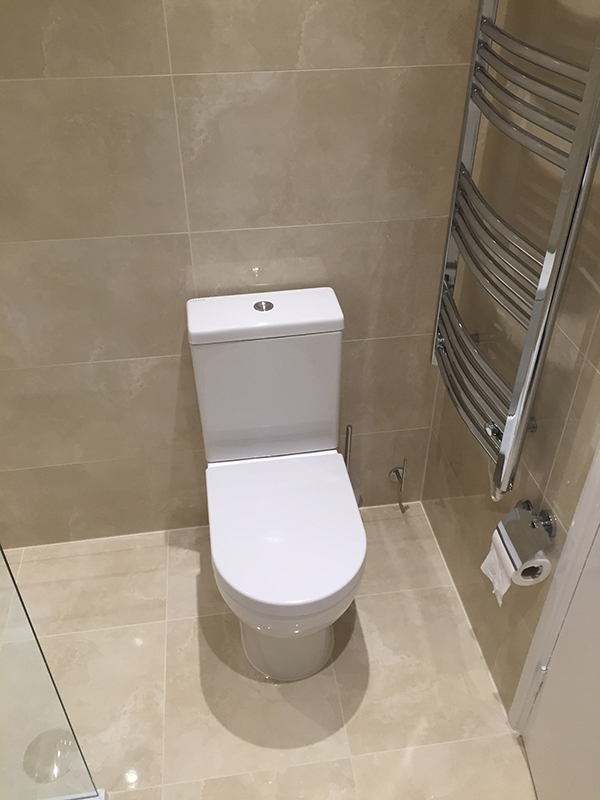 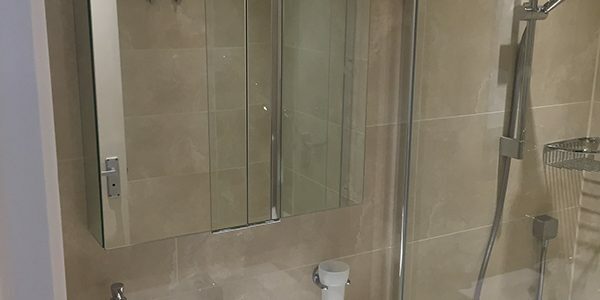 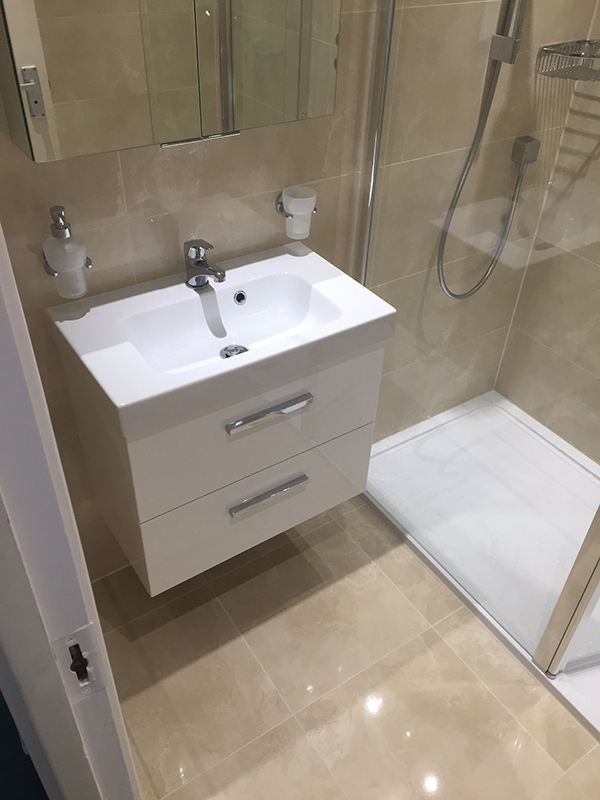 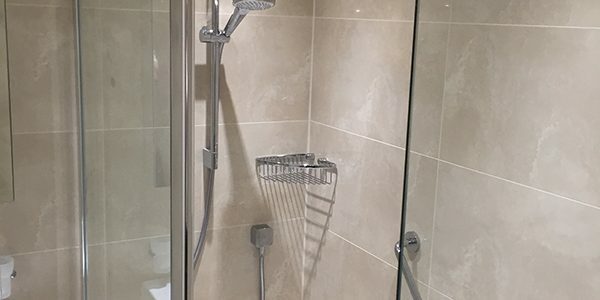 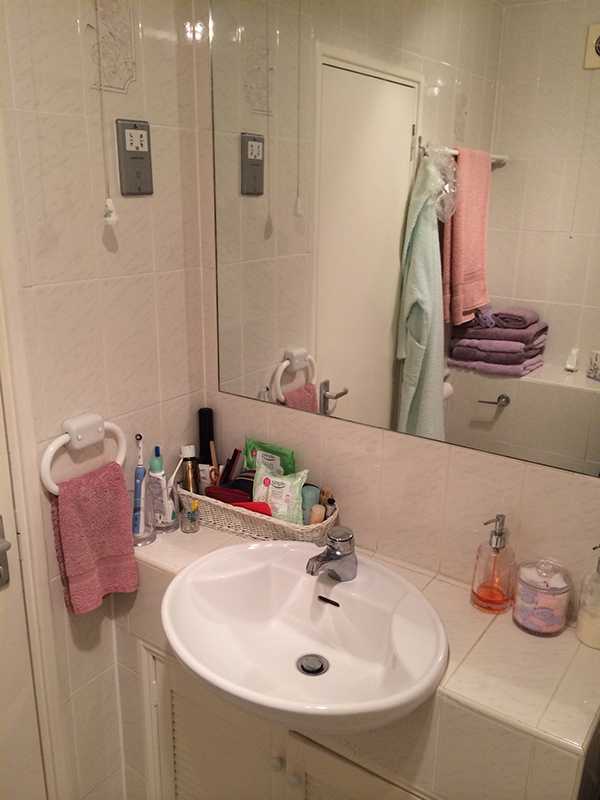 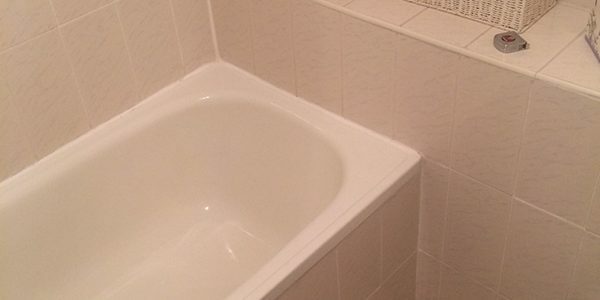 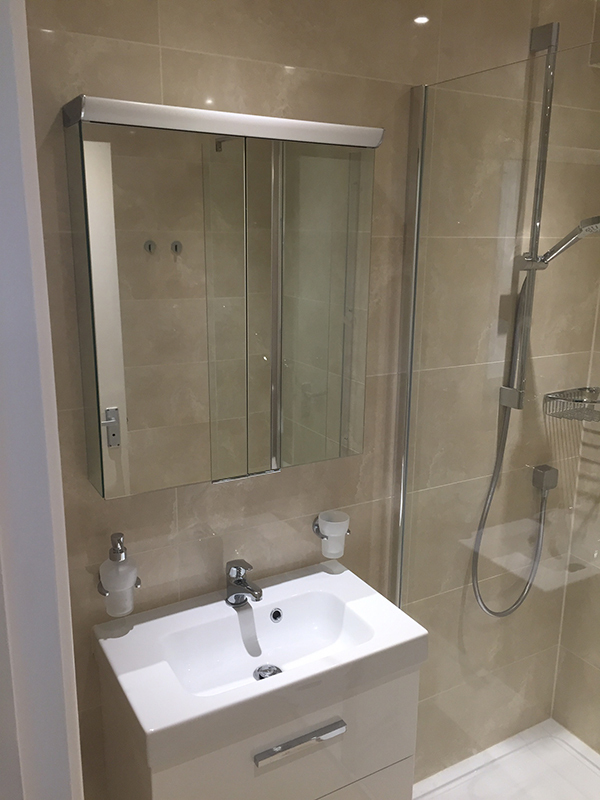 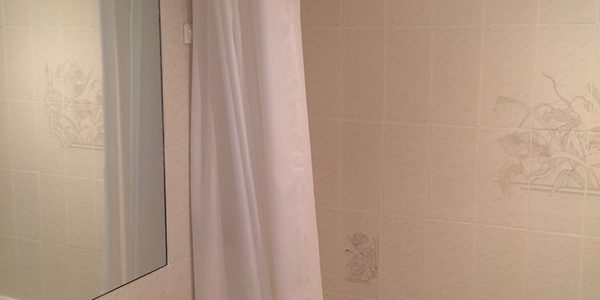 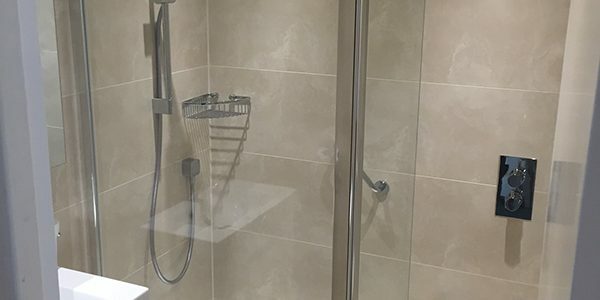 See Phyllis’ testimonial below and to the right a checklist of the items that we supplied and installed to create the bathroom. 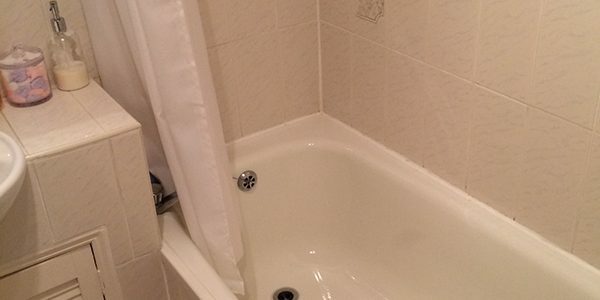 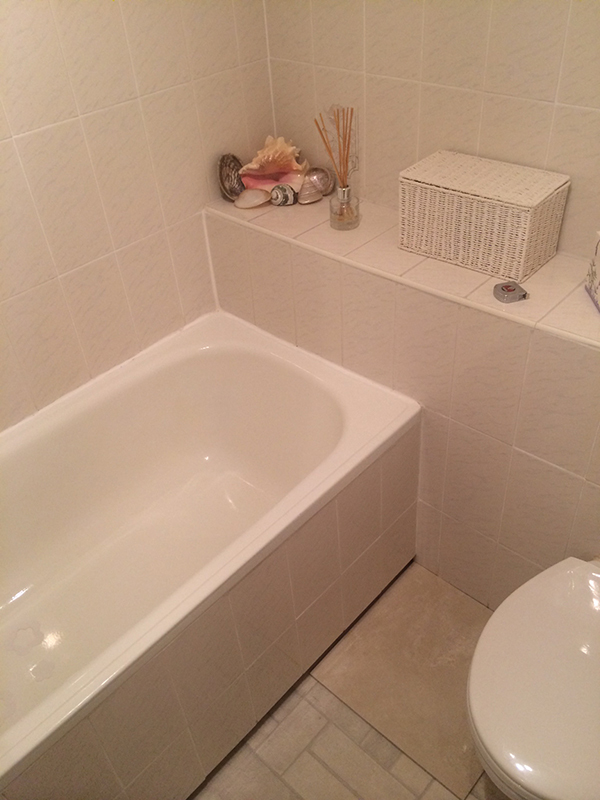 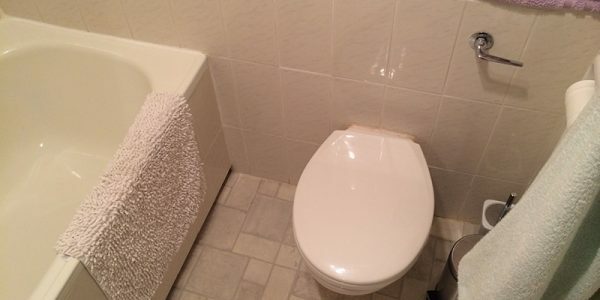 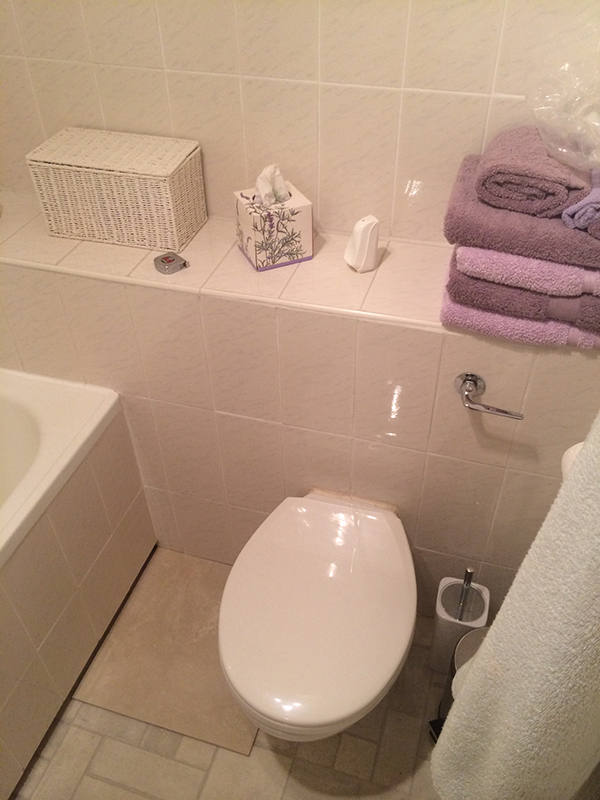 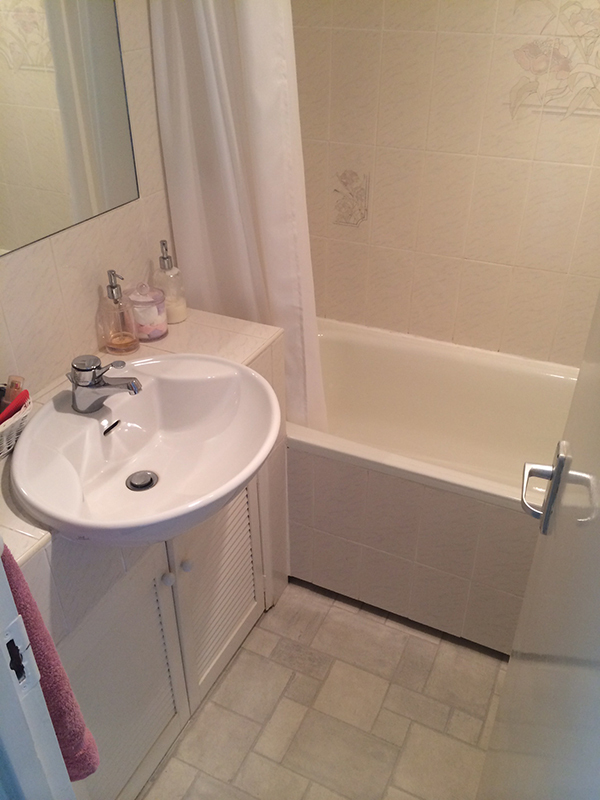 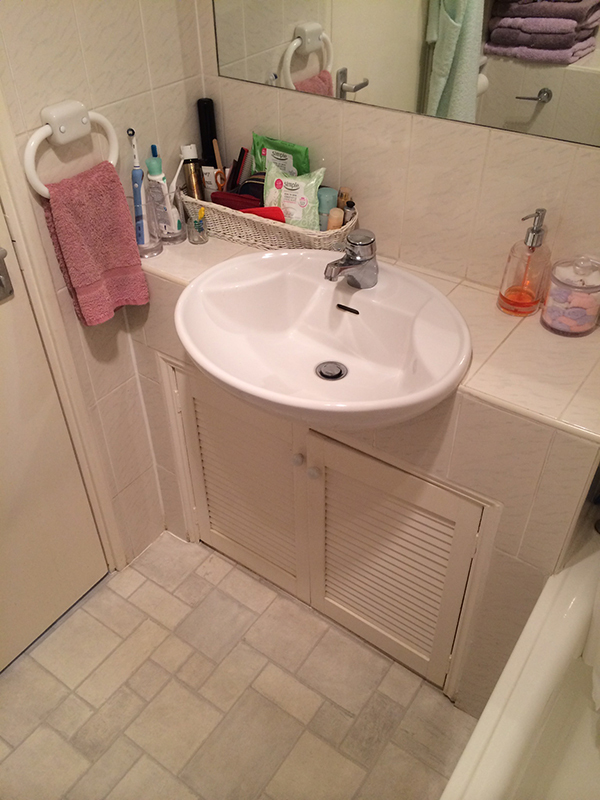 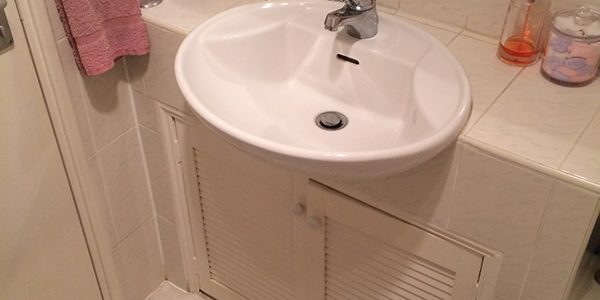 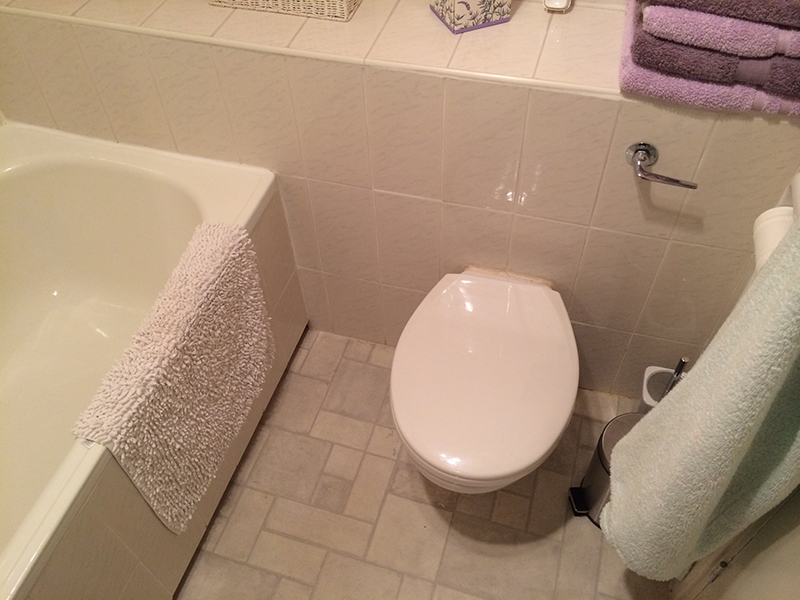 Aqua Bathrooms recently carried out a complete refurbishment of my very small bathroom. 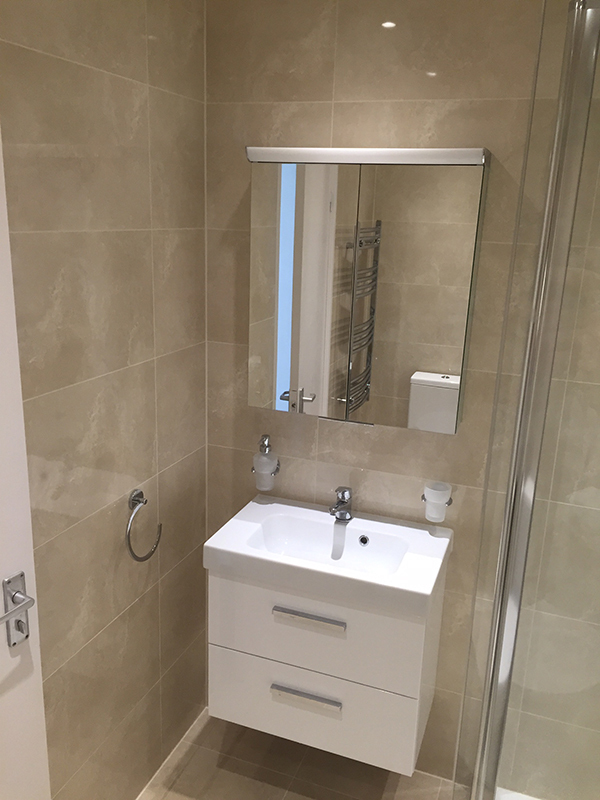 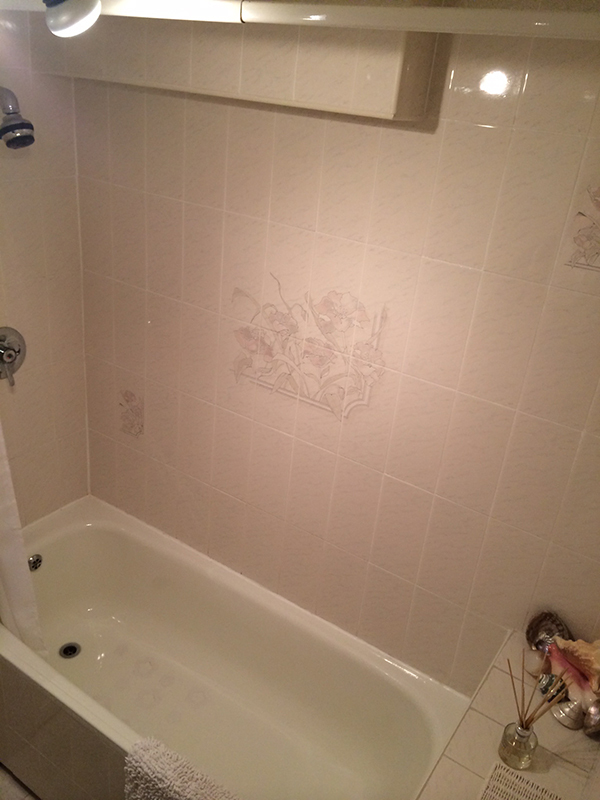 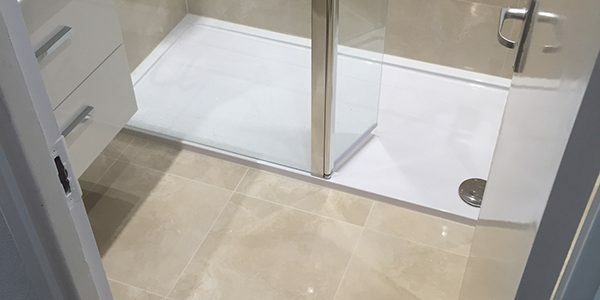 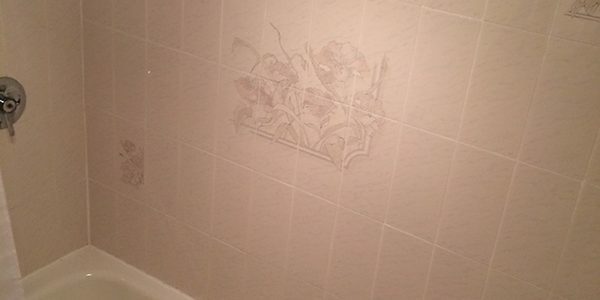 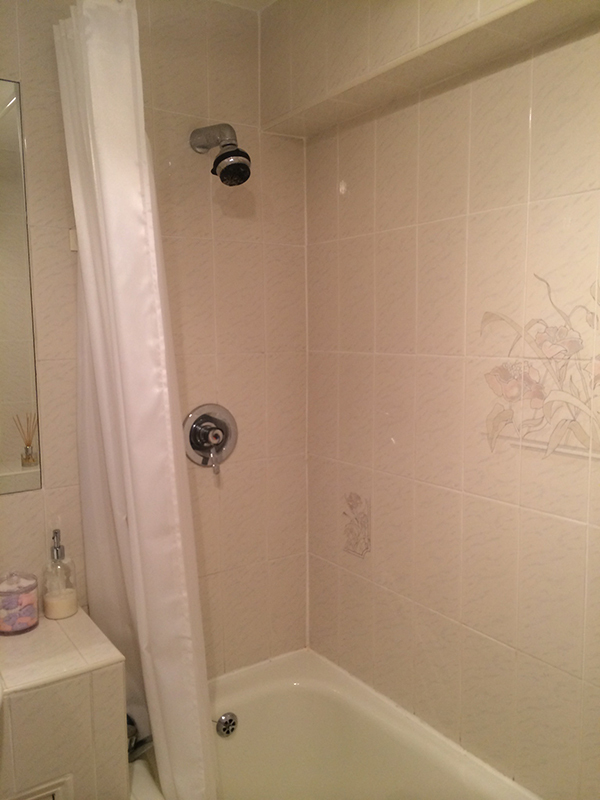 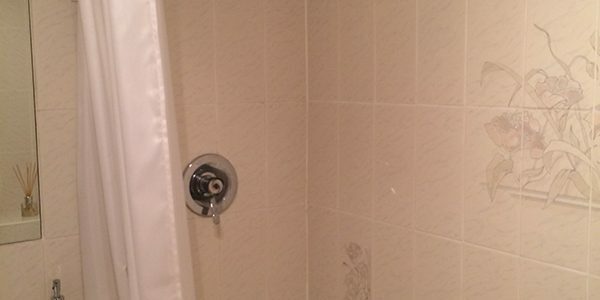 The project required the removal of the existing floor to ceiling wall tiles, all fixtures and fittings and extending the area by removal and replacement of one wall. 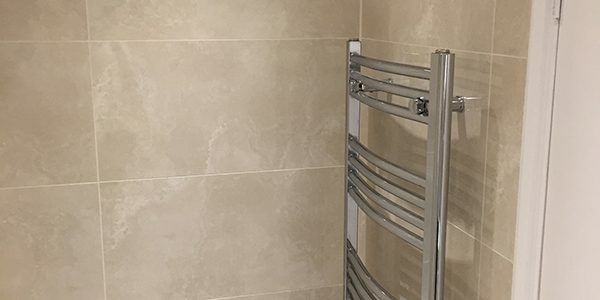 From the start Lee Darbon was very helpful and efficient in recommending new fittings, tiles, lighting, etc., and producing estimates for the work. 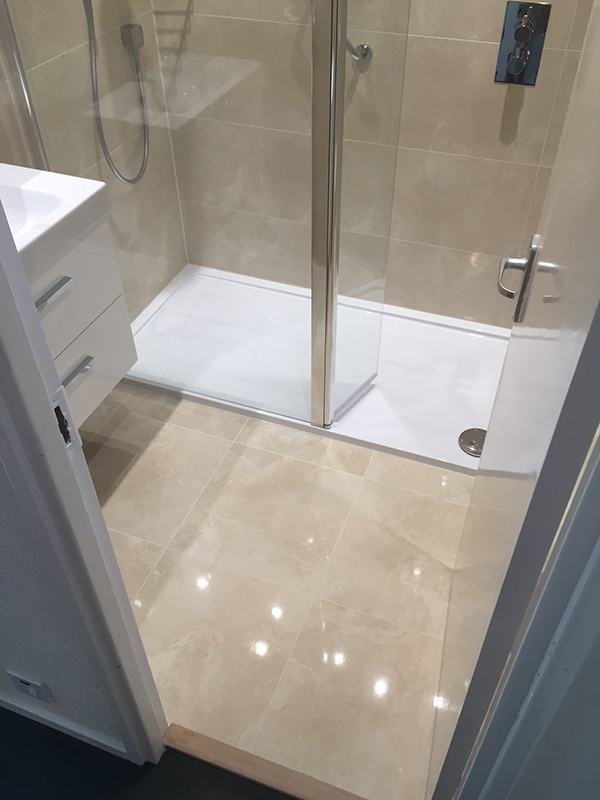 The project was started and completed within the given timescale and at the estimated cost. 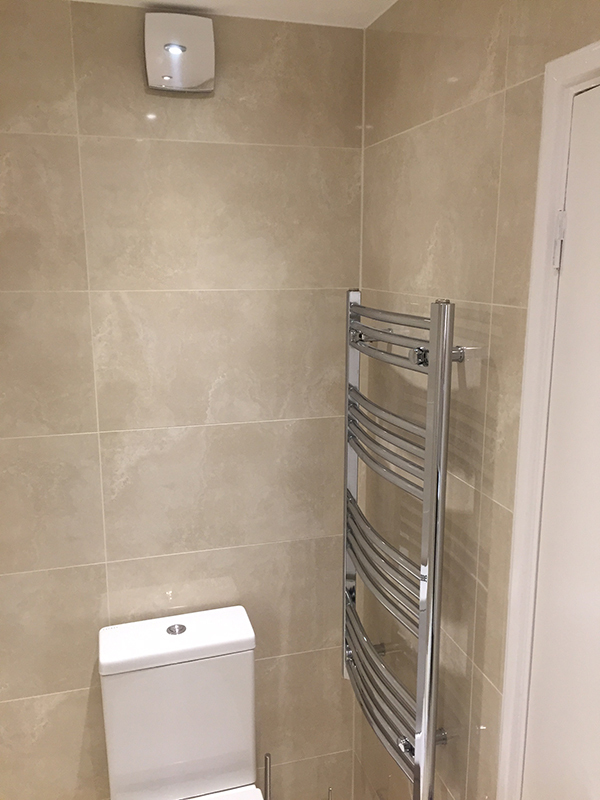 The quality of the workmanship of Kris and Lukasz was second to none. 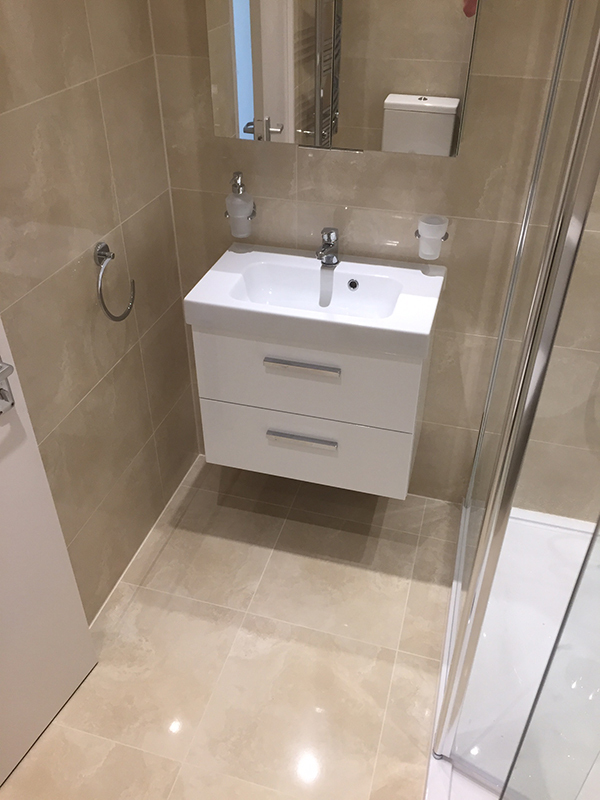 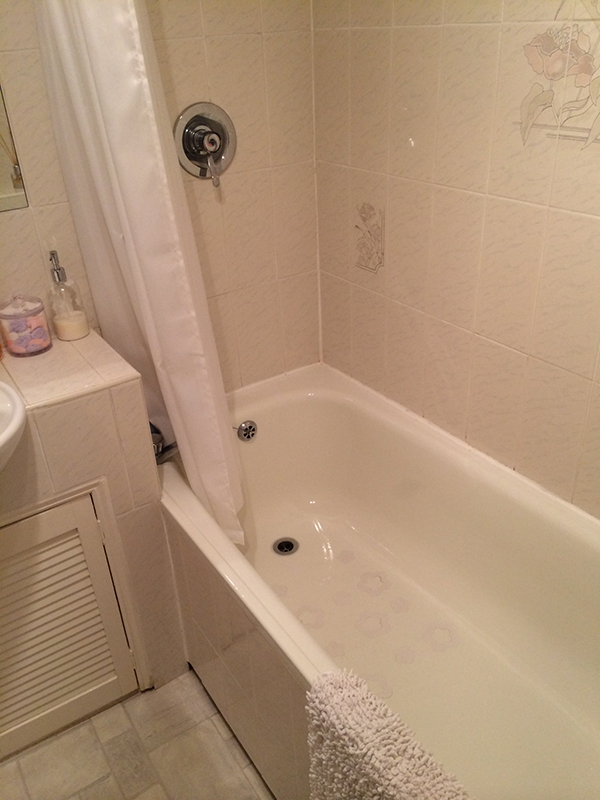 I am delighted with my new bathroom and would have no hesitation in recommending Aqua Bathrooms to others.